Chances are you’ve pondered the question “What would you do if you won the lottery.” You might even have hinted you’d spend part of your new-found fortune on your dream car. That’s just what a Minnesota man did when his numbers came up in Powerball earlier this month. And the car he named was the Acura NSX! 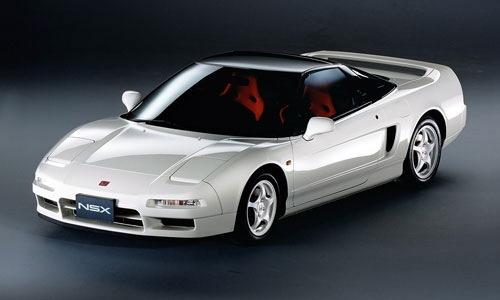 In fact, Paul White’s been watching an older model NSX on Craigslist for a while now. He thinks the early 90’s model sportscar is being offered for something like “thirty grand”. We hope someone told him Acura’s coming out with the next generation NSX in the next couple years and even though the pricetag’s yet to be announced, we’re guessing Mr. White’s $68-million dollar windfall would more than cover the cost! You can hear Mr. White’s intereview in the video below. The NSX first gets mentioned at 4:44. « Back By Popular Demand: Butler’s Hot, Hot, Hot Sale with TC Chevy!